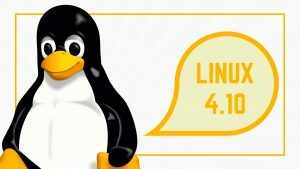 The latest Linux kernel 4.10 is out and ships with Ubuntu 17.04. Since we moved over to that kernel Wifi stopped working on our Dell XPS-13 (9343) due to lousy Broadcom drivers. So we bought a new Intel 7265 WLAN card and replaced the Broadcom card that ships with XPS-13 (9343). Suddenly everything is working. Great! We could now install Ubuntu 17.04 Budgie (a really nice OS btw), which ships with the 4.10 kernel. This guide should also work on any other distro with the 4.10 kernel, though we have not tested. 2017-04-17T03:08:23.988+02:00| vthread-4| I125: The header path "/lib/modules/4.10.0-19-generic/build/include" for the kernel "4.10.0-19-generic" is valid. Whoohoo! 2017-04-17T03:08:23.989+02:00| vthread-4| I125: The GCC version matches the kernel GCC minor version like a glove. 2017-04-17T03:08:23.989+02:00| vthread-4| I125: Validating path "/lib/modules/4.10.0-19-generic/build/include" for kernel release "4.10.0-19-generic". 2017-04-17T03:08:23.989+02:00| vthread-4| I125: /lib/modules/4.10.0-19-generic/build/include/linux/version.h not found, looking for generated/uapi/linux/version.h instead. 2017-04-17T03:08:23.996+02:00| vthread-4| I125: Preprocessed UTS_RELEASE, got value "4.10.0-19-generic". 2017-04-17T03:08:23.996+02:00| vthread-4| I125: The header path "/lib/modules/4.10.0-19-generic/build/include" for the kernel "4.10.0-19-generic" is valid. Whoohoo! 2017-04-17T03:08:23.996+02:00| vthread-4| I125: Using temp dir "/tmp". 2017-04-17T03:08:23.997+02:00| vthread-4| I125: Obtaining info using the running kernel. 2017-04-17T03:08:23.997+02:00| vthread-4| I125: Setting header path for 4.10.0-19-generic to "/lib/modules/4.10.0-19-generic/build/include". 2017-04-17T03:08:23.997+02:00| vthread-4| I125: Validating path "/lib/modules/4.10.0-19-generic/build/include" for kernel release "4.10.0-19-generic". 2017-04-17T03:08:23.997+02:00| vthread-4| I125: /lib/modules/4.10.0-19-generic/build/include/linux/version.h not found, looking for generated/uapi/linux/version.h instead. 2017-04-17T03:08:24.004+02:00| vthread-4| I125: Preprocessed UTS_RELEASE, got value "4.10.0-19-generic". 2017-04-17T03:08:24.004+02:00| vthread-4| I125: The header path "/lib/modules/4.10.0-19-generic/build/include" for the kernel "4.10.0-19-generic" is valid. Whoohoo! 2017-04-17T03:08:24.149+02:00| vthread-4| I125: Reading symbol versions from /lib/modules/4.10.0-19-generic/build/Module.symvers. 2017-04-17T03:08:24.169+02:00| vthread-4| I125: Invoking modinfo on "vmmon". 2017-04-17T03:08:24.171+02:00| vthread-4| I125: "/sbin/modinfo" exited with status 256. 2017-04-17T03:08:24.171+02:00| vthread-4| I125: Invoking modinfo on "vmnet". 2017-04-17T03:08:24.172+02:00| vthread-4| I125: "/sbin/modinfo" exited with status 256. 2017-04-17T03:08:24.534+02:00| vthread-4| I125: Setting destination path for vmmon to "/lib/modules/4.10.0-19-generic/misc/vmmon.ko". 2017-04-17T03:08:24.534+02:00| vthread-4| I125: Extracting the vmmon source from "/usr/lib/vmware/modules/source/vmmon.tar". 2017-04-17T03:08:24.542+02:00| vthread-4| I125: Successfully extracted the vmmon source. 2017-04-17T03:08:24.542+02:00| vthread-4| I125: Building module with command "/usr/bin/make -j4 -C /tmp/modconfig-PpIKlV/vmmon-only auto-build HEADER_DIR=/lib/modules/4.10.0-19-generic/build/include CC=/usr/bin/gcc IS_GCC_3=no"
2017-04-17T03:08:26.435+02:00| vthread-4| W115: Failed to build vmmon. Failed to execute the build command. 2017-04-17T03:08:26.438+02:00| vthread-4| I125: Setting destination path for vmnet to "/lib/modules/4.10.0-19-generic/misc/vmnet.ko". 2017-04-17T03:08:26.438+02:00| vthread-4| I125: Extracting the vmnet source from "/usr/lib/vmware/modules/source/vmnet.tar". 2017-04-17T03:08:26.443+02:00| vthread-4| I125: Successfully extracted the vmnet source. 2017-04-17T03:08:26.444+02:00| vthread-4| I125: Building module with command "/usr/bin/make -j4 -C /tmp/modconfig-PpIKlV/vmnet-only auto-build HEADER_DIR=/lib/modules/4.10.0-19-generic/build/include CC=/usr/bin/gcc IS_GCC_3=no"
We googled the issue and found a patch that we applied, crossing our fingers hoping it would work. It turns out it did, and as the 4.10 kernel is still kind of new and we saw many forum posts about others in the same situation, we thought we would tell the world how it’s done. It may seem hard, but really, it’s easy. It’s all about patching the VM installation files. Though we want to say; do it at your own risk. Now just start VMware as normal and it should install vmon and vmnet correctly.